Ambitious energy production and carbon reduction targets outlined in the recently released 13th Five-Year Plan indicate China’s serious desire to achieve a practical path to sustainability. With these goals in mind, the PRC government seeks to incorporate energy efficient technologies and investments into forthcoming urban development—an effort to withstand a slowing economy through innovative and sustainable systems that provide power for the masses at a reduced cost. The government has demonstrated its commitment to these goals, as the National Development and Reform Commission (NDRC) and National Energy Administration (NEA) announced recently that China has halted plans for new coal-fired plants and postponed the construction of about 200 planned generators throughout the country—forgoing roughly 105 gigawatts of environmentally unfriendly power production. 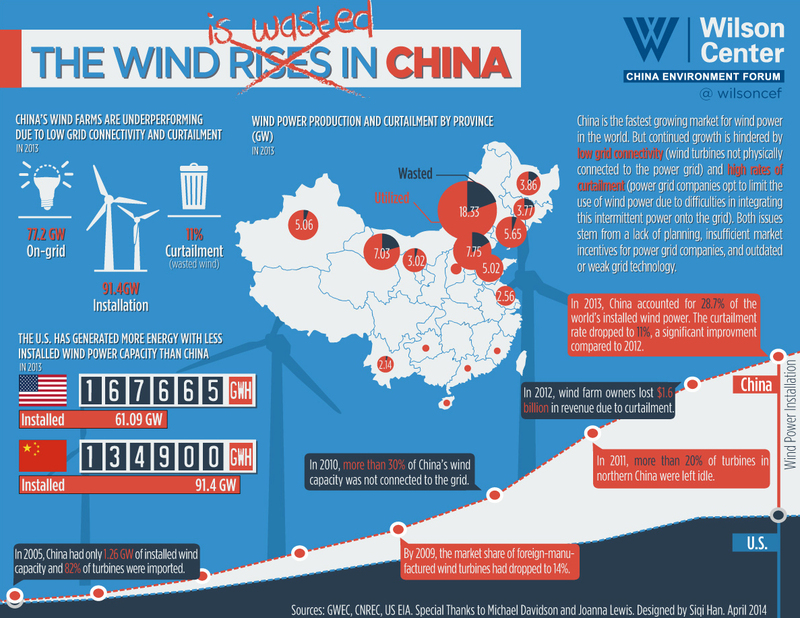 This type of trend, though increasingly common in the US as a result of the Obama Administration Clean Power Program, is very new for China. The measures would suggest that Beijing has begun to take more thoughtful action around addressing the country’s egregious environmental situation—degradation that has had far-reaching global climate implications. China’s growing leadership around energy efficient technology and policy, coupled with its perpetuating environmental troubles and grid infrastructure inefficiencies, demonstrate the complex and dichotomous identity of this 21st century global giant. Though record-breaking investments in renewable energy and concurrent efforts to curb carbon output through coal factory closings offer a glimpse of China’s great desire to surmount its environmental struggles, a bureaucratic stranglehold over state-owned energy companies enables industrial overcapacity to offset much of the nation’s progress in clean energy.